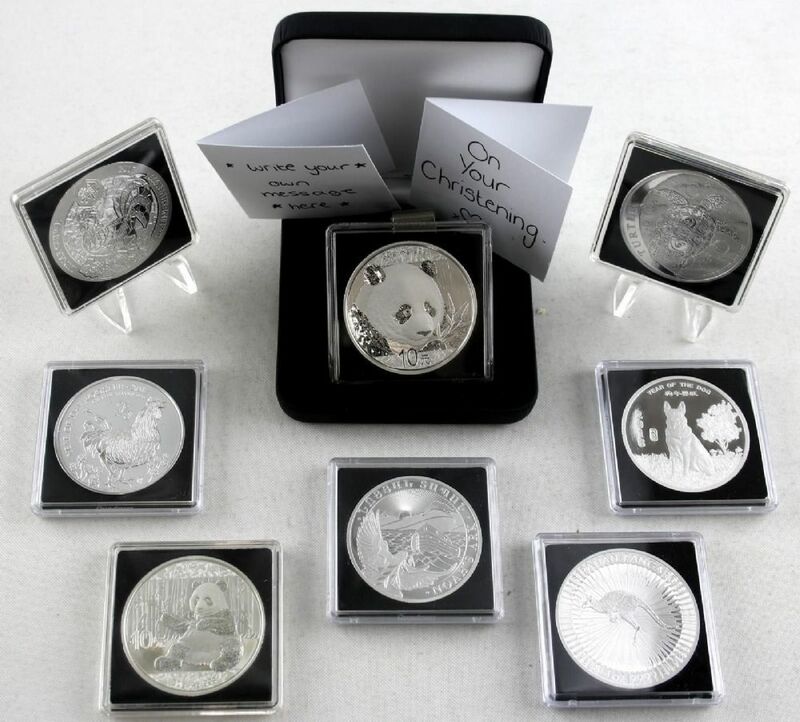 A beautiful selection of Silver Bullion coins. 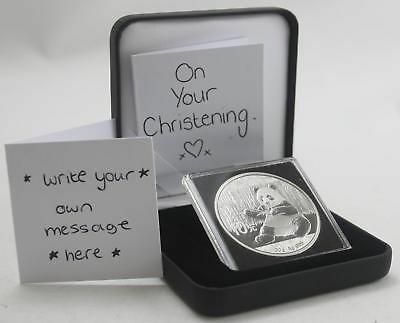 A perfect keepsake Christening gift for a young child. Including Bullions from 2017 and 2018. ALL coins are pure silver and encapsulated since manufacturing - meaning they are all in beautiful condition. 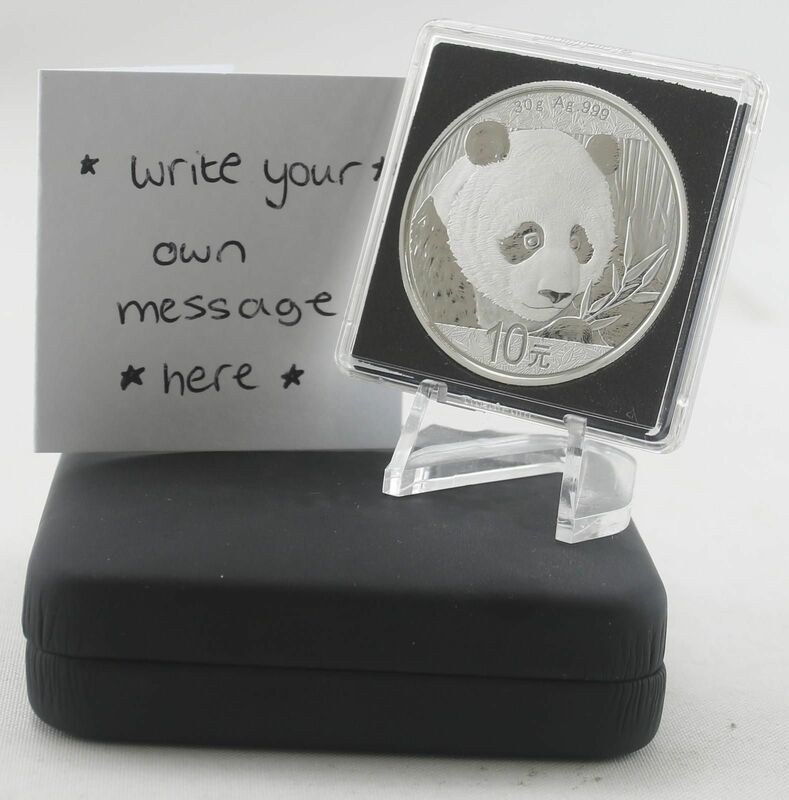 They come in a beautiful black leatherette display gift case, enclosed in a Quadrum capsule - which is the best for display purposes and fits perfectly in the outer case. The plastic of the Quadrum capsule ensures protection of the coin from dust and any contact which will keep it shiny and in perfect condition. Each coin and case comes with one message card - which you can write a personal message on for the recipient of the gift. The message card comes blank so it can be used for any occasion. Silver Bullions are a beautiful keepsake gift for any member of the family or friends.